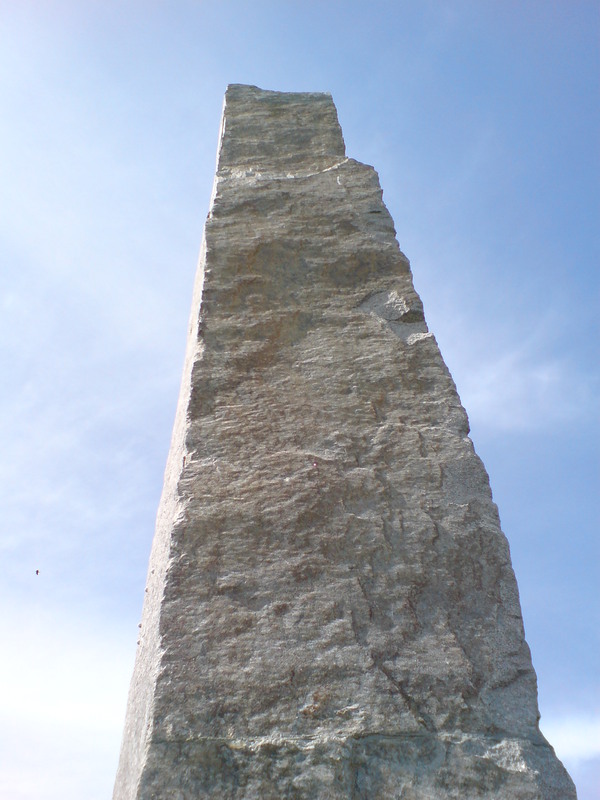 This is the Millennium stone in Delamont Park, Killyleagh. I love the way it invites you to reach out and touch that warm textured stone. I often walk Max in Hillsborough forest on a Saturday morning. I gain a real sense of calm by being amongst those magnificent tall trees which have stood there for hundreds of years. There’s always something to marvel at in nature. 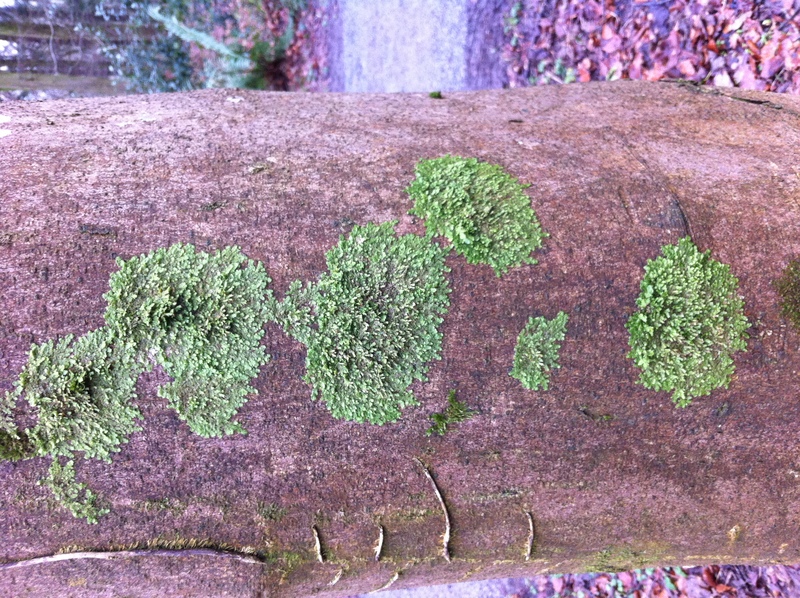 This pattern of moss on the side of a tree caught my eye. There were quite a few dogs around this morning, although the mood was a little sombre: earlier this week 2 huskies had escaped and were worrying some sheep, and unfortunately had to be shot. So while I let Max have a bit of off-leash time, I was very alert for any weak points in the perimeter fence. What a fabulous weekend! The sunshine makes everyone smile, and I had lotls of lovely little things happen to me, so I was feeling generally very at peace with the world. I took Max to Drumkeeragh to enjoy the weather. And what a might fine morn it was! The sun was really hot, so I was soon delayered down to a light Tshirt and short trousers. 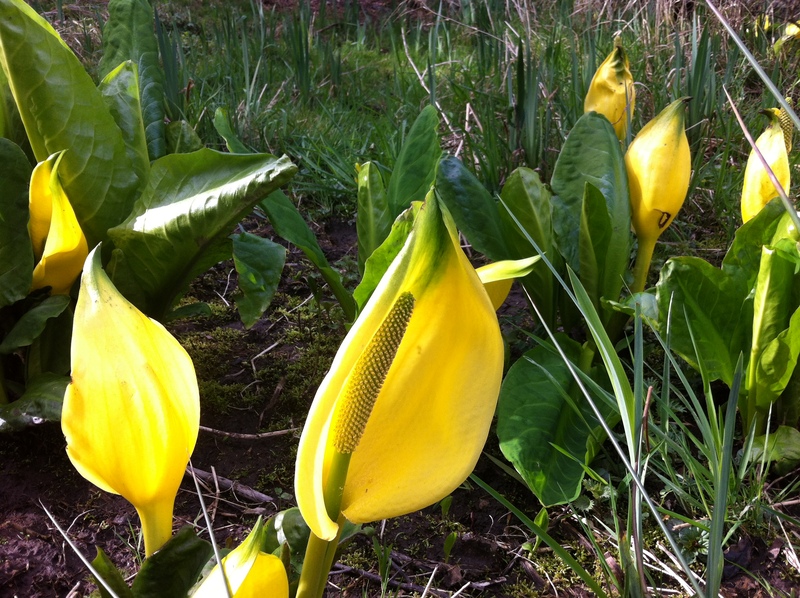 The birds were singing lustily, and the bees were buzzing…er..bustily. 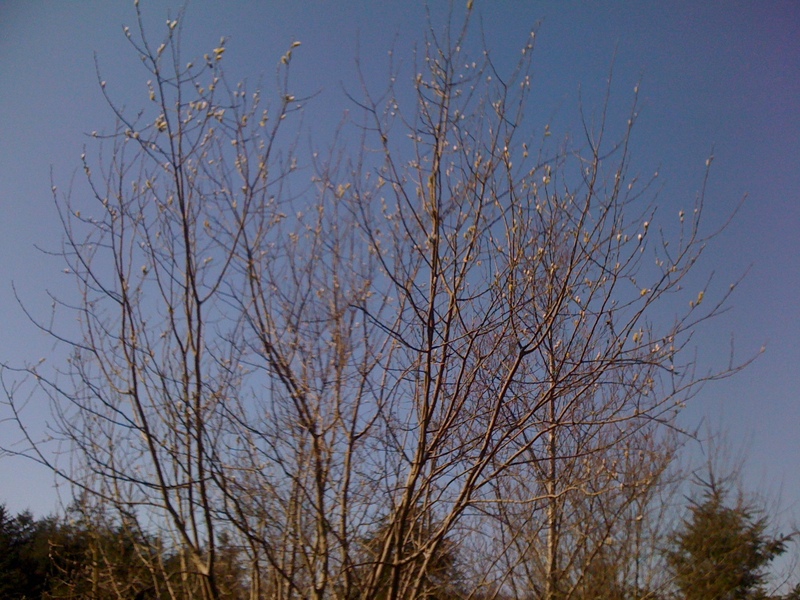 I stopped and admired a little robin singing his heart out right at teh top of a tree, and then these large fuzzy bees round the catkins on this tree. Mmmm, spring. After a rather rainy Saturday, Easter Sunday dawned bright and sunny, so I took Max to our favourite walking place, Drumkeeragh Forest. And we had the place to ourselves, so he could gallop and hurtle to his hearts content. It was still cold – patches of snow lay unmelted in the shadow of the stone walls, and many of the puddles where the sunlight hadn’t yet hit were still glazed over with ice. As Max lolloped along the gravel paths, his breath steamed out on either side of his head, and his tail was wagging in an almost circular fashion – he looked like a fire-breathing gyrocopter! Now, a dog’s sense of hearing and smell is orders of magnitude better than a humans, but their eyesight is worse. On more than one occasion, Max has leaped on what appeared to be solid ground, only to land with a splash, and emerge with a rather indignant look on his face, shaking off the excess water. He did this again today, and once I had stopped laughing, I went to explore where he’d jumped, and found a little pond full of frogspawn, a sight I haven’t seen in years! Spring is definitely on the way, snow notwithstanding. Here’s a little montage of today’s signs of spring, along with some photos taken last week with Roger’s new camera. Music is by Clannad.